Rock Beach Real Estate "Our Name Travels in Elite Circles"
The USA property market has some outstanding opportunities right now. There have never been prices this low in decades. Here at Rock Beach Real Estate we cater to savvy investors all over the globe looking to cash in on in this incredible opportunity to buy USA income property at pennies on the dollar. We are seeing in Western New York returns up to 15% on Single family rental homes and as much as 21% on multifamily apartment buildings in Rochester Ny. We have turnkey condo units in Florida selling for 60% off their last market sale price. This is a brilliant opportunity to build generational wealth during this brief global downturn we are experiencing. All of the properties you will find under the NEW LISTINGS tab at the top of the screen come completely refurbished by our team of experienced contractors. All of our properties are fully occupied with well screened tenants, as well as top notch professional property managers already in place. When buying from Rock Beach Real Estate have confidence because we provide all of the support and guidance to make your purchase and ownership a smooth and easy process. Foreign ownership of USA property is a very straight forward and simple process which we guide all of our customers through every step of the way. When in town on a seminar in 2008 JD Esajin caught wind of my volume of redevelopment projects and stopped by the job site at 30 Finch St to see the level of rehabilitation we perform. 30 Finch st is an investment property which sold 1st day on the Market. I'm committed to providing you with the highest quality investment property. When making the type of investment that buying a home requires, you deserve to have all the latest market information and the very best advice, both of which I can provide you with. Read more. 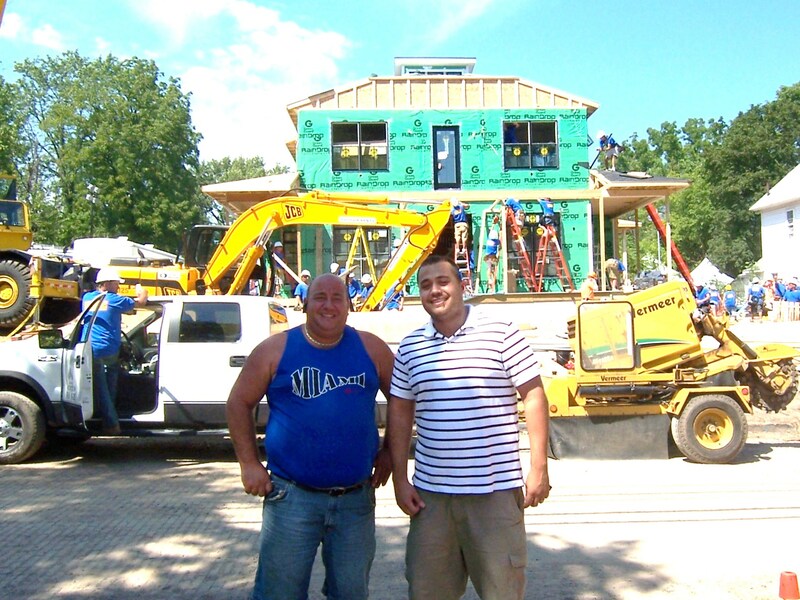 This is Louie our head foreman and I on the set of Extreme Make Over: Home Edition. The episode of ABC's "Extreme Makeover: Home Edition" filmed over the summer in nearby Geneva will air at 8 p.m. Nov. 2. The ABC reality show spent a week demolishing, then rebuilding the home of Tim and Michelle Hill and their children. The Hills were chosen to receive a new home because of Tim Hill's work with underprivileged children at the Geneva Boxing Club he founded 10 years ago. Channel 9 will also reportedly air a local special about the "Extreme Makeover" build in Geneva on Oct. 28. Mahoney Design & Build of Canasota supervised the construction project Read more.